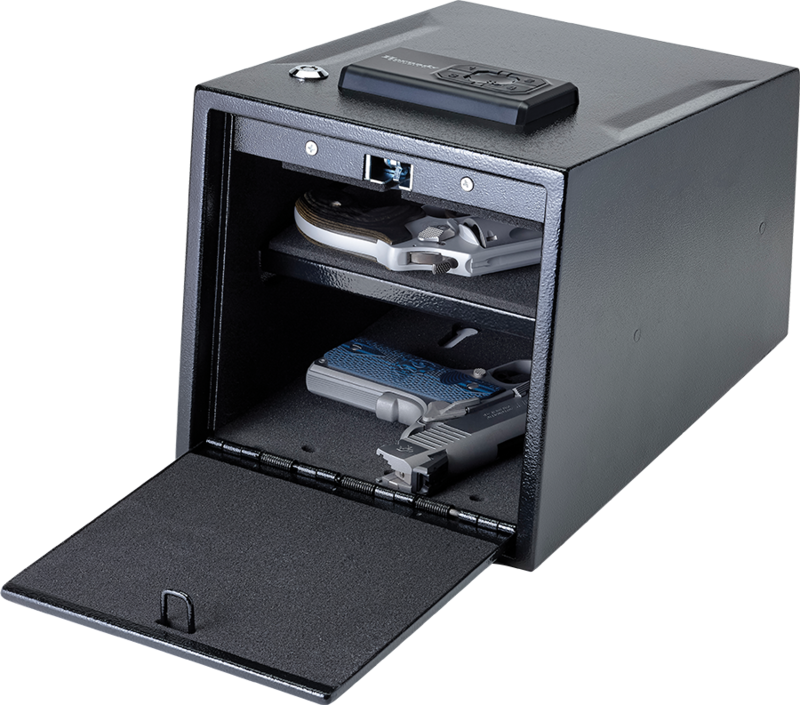 This vault’s removable shelf provides twice the interior space while it fits neatly on a desk or nightstand. Program a four- to six-digit code to ensure security, or use the key lock backup. Interior light automatically illuminates when opening the safe. Constructed of thick 16-gauge steel. Exterior: 12.7" x 9.0" x 8.8"
Interior: 11.4" x 8.6" x 6.3"
We have worked tirelessly to ensure each Hornady RAPiD® Safe and Key Lock Box meets the necessary criteria to be certified as a firearms safety device by the California Department of Justice.